We had been told so many times over the course of nearly a month that it would just be a “couple more days” before we were done that when the call finally came we were pretty unprepared. You would think being in the same place for such a long time we would have gotten all of our errands run, but there were a few things that we had do decide whether or not to do on the fly. We also weren’t really sure where we were going to go. 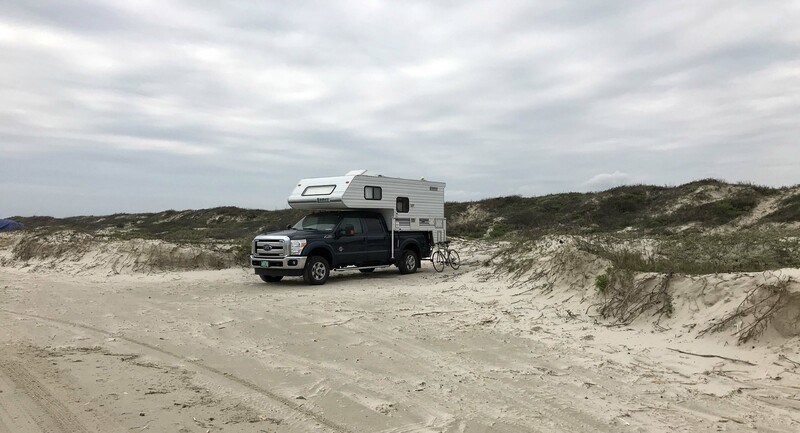 Those plans had changed as well, and we found ourselves in a rare situation of having a few days with nowhere to be, so we decided to head down and check out the Padre Island National Seashore. I had read about their campgrounds in someone’s blog, (sorry, for the life of me I can’t remember who! ), but the description must have been a good one because the place stuck in my head. And since our furnace was fixed, our solar was working, and we had time, we decided to head down and just see what happened. 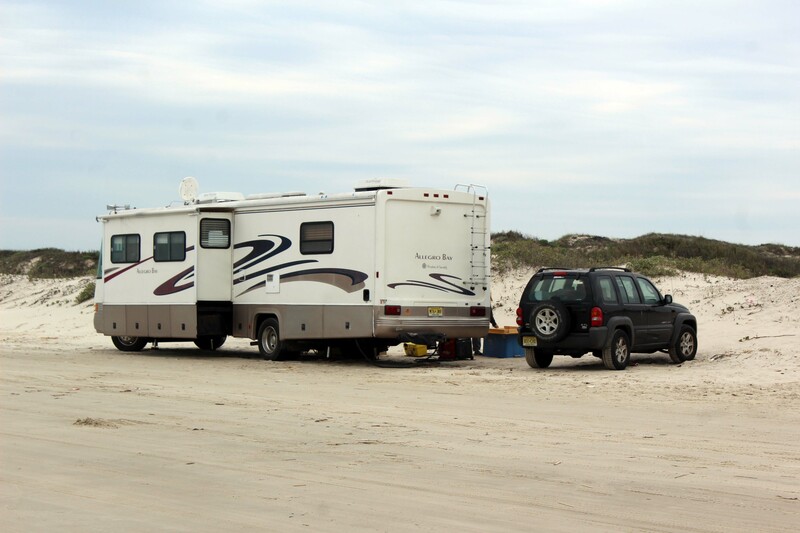 Padre Island National Seashore has two smallish campgrounds and both are first come, first served. 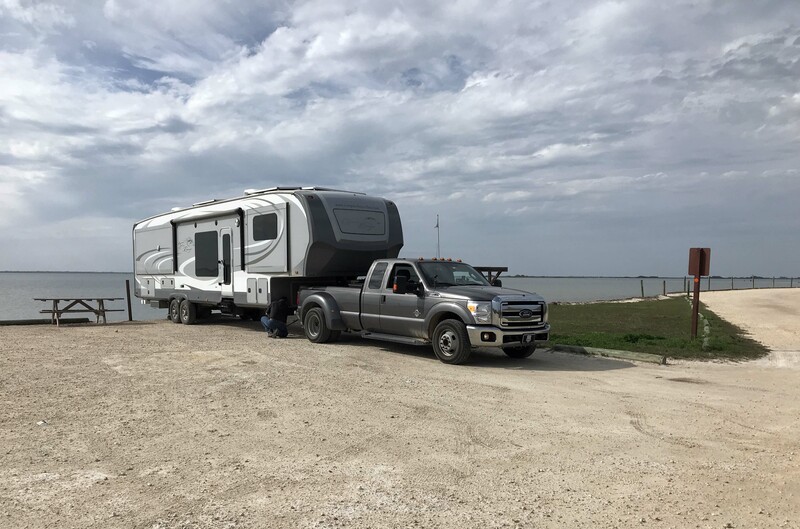 If both were full our backup plan was to stay at one of the local campgrounds, and when we were about halfway to Corpus Christi several people on Facebook let me know we might have some trouble getting in because it was spring break. I rarely pay attention to school holidays anymore, but since we were halfway there we decided to just wing it and see what happened. This wasn’t something we would have ever done when we first started out, but the last year or so we have been much more comfortable with playing our travels by ear. 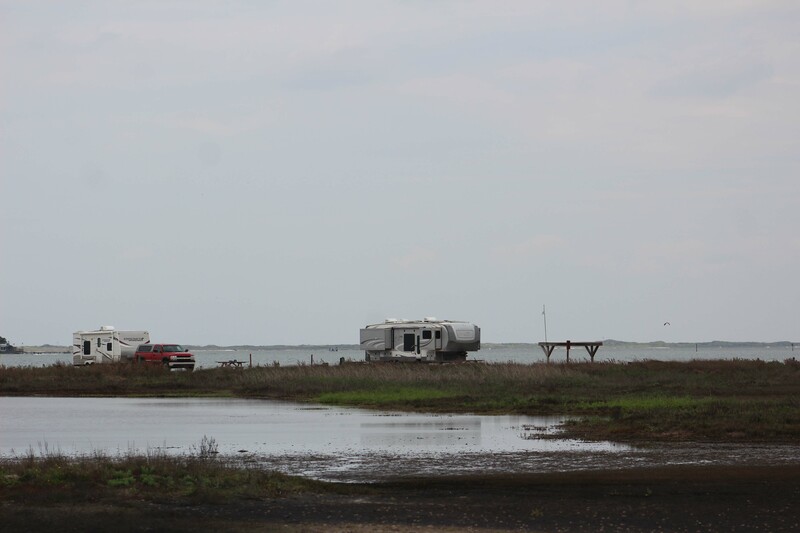 Not that we often get the chance, because we are usually on a schedule, but we were both very comfortable with whatever we found and our backup, backup plan was to continue on towards Silsbee, which was where we needed to go after Padre Island, but before we left for the reunion rally. 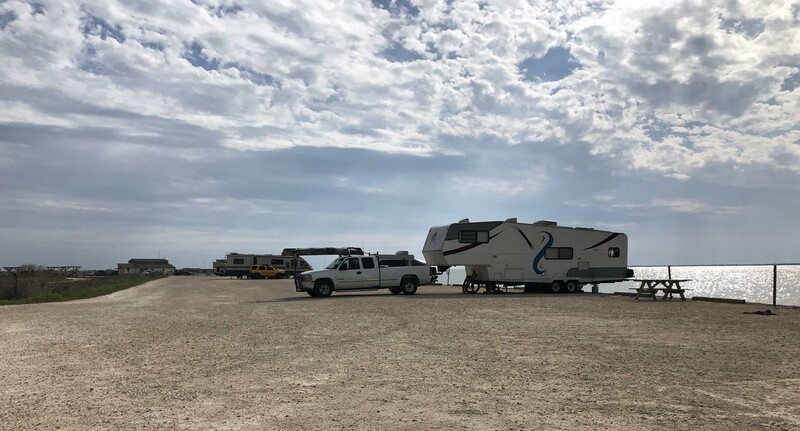 We were pleased to find out when we arrived that although the campground on the Gulf side, Malaquite, was full, the campground on the Laguna side, Bird Island Basin had lots of spots. When we pulled in we were very happy that we were able to grab #34 on the end, and squeezed ourselves in. Our picnic table was actually on the grass side of the rig. If we had a Class A and could pull in nose forward this would have been an almost perfect spot. Right on the laguna which is a popular spot for kayakers and windsurfers. As you can see there were lots of opening on a Monday, so even though the sites would be VERY tight when full, it was no issue for any of us. They had windsurfing classes every day which was fun to watch. Gives you a feel of the spacing. We are on the right. This little pond was right across from us. Once we settled in the camp host came up and introduced himself, and was a very friendly guy. We decided that we would pay by the day ($5 cash, check or we could have put a credit card number on the slip for iron ranger) and since it was still a little early we went over to check out the other campground. 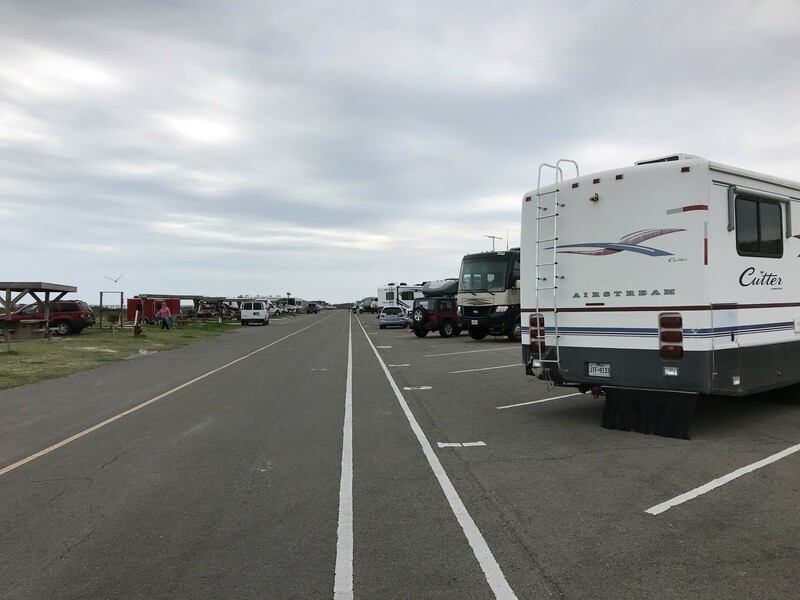 That campground, like this one, is basically a parking lot strip, but they are right across from the beach and have a nice walkway down to the shore along with cold showers and flush toilets. Our campground just had pit toilets, but they were clean. Malaquite. 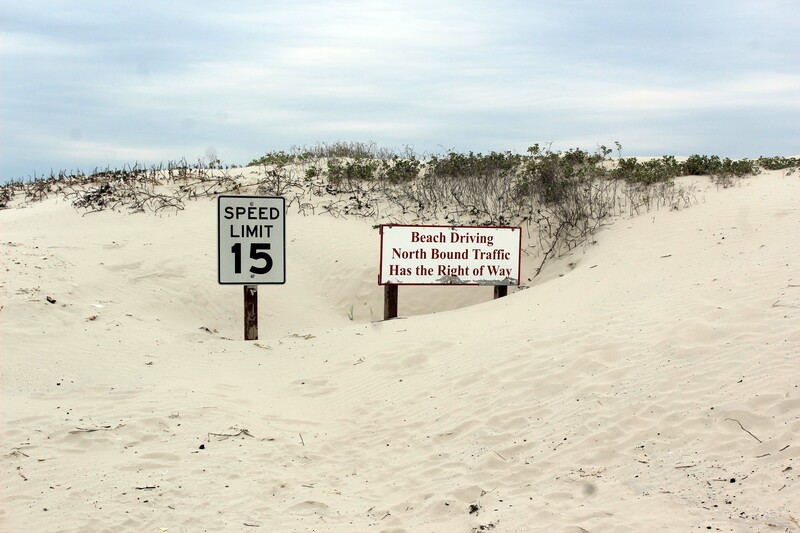 Big rigs would fit in some of the spots on the right, against sand dunes, but only a couple on the left. 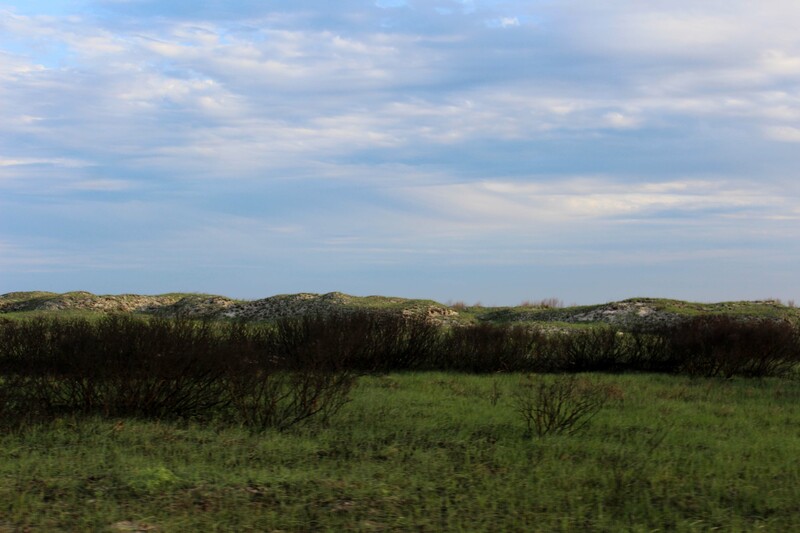 Beautiful green dunes along the road in between the campgrounds. Malaquite was much busier than Island Basin, but you did have the nice ocean noise. They were indeed full, but we decided to check the next day at noon and headed back for a nice dinner and a peaceful evening. On Tuesday we both slept in way past 8:30am as we adjusted to both the time change and our new sleep schedules. It was great having so much quiet with no truck noises, generator smells, and no need to get up and down whenever a truck came in! We took our time, but drove over to the visitors center around 10:30am and swung through Malaquite to see if there were any openings. There were a couple on the dune side, but after enjoying our peaceful morning we decided we liked where we were. 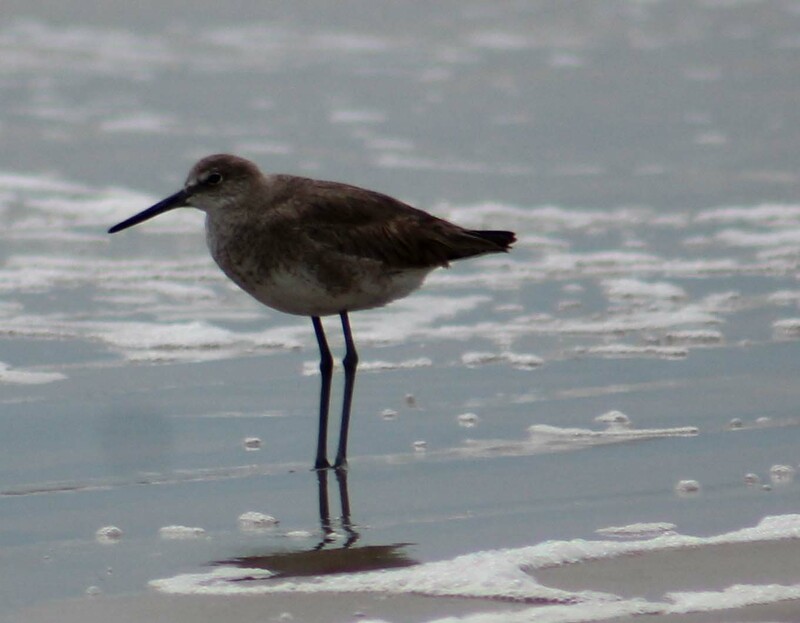 It’s funny because our spot was really special but the allure of being ocean side made it tempting to give it up even for a lesser spot. What ultimately convinced me was that there were lots of young kids on the ocean side, and it was all adults where we were. 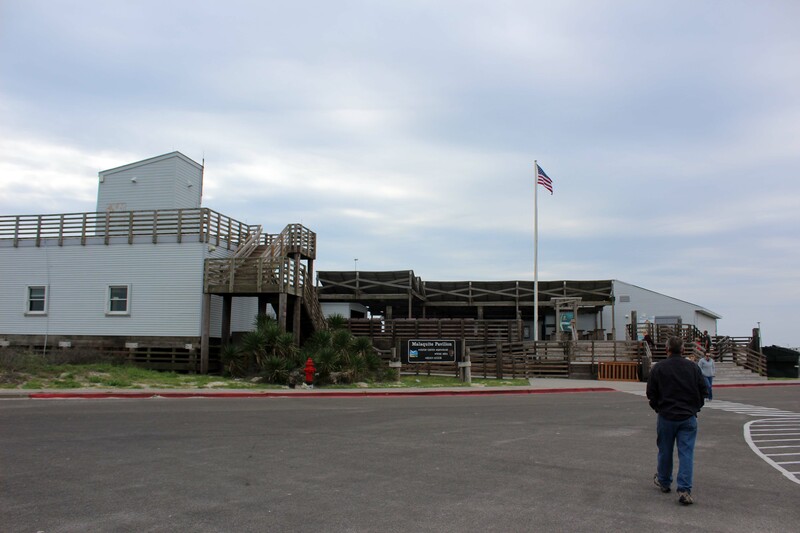 Afterwards, we went up and checked out the visitors center to talk to them about driving on the beach. 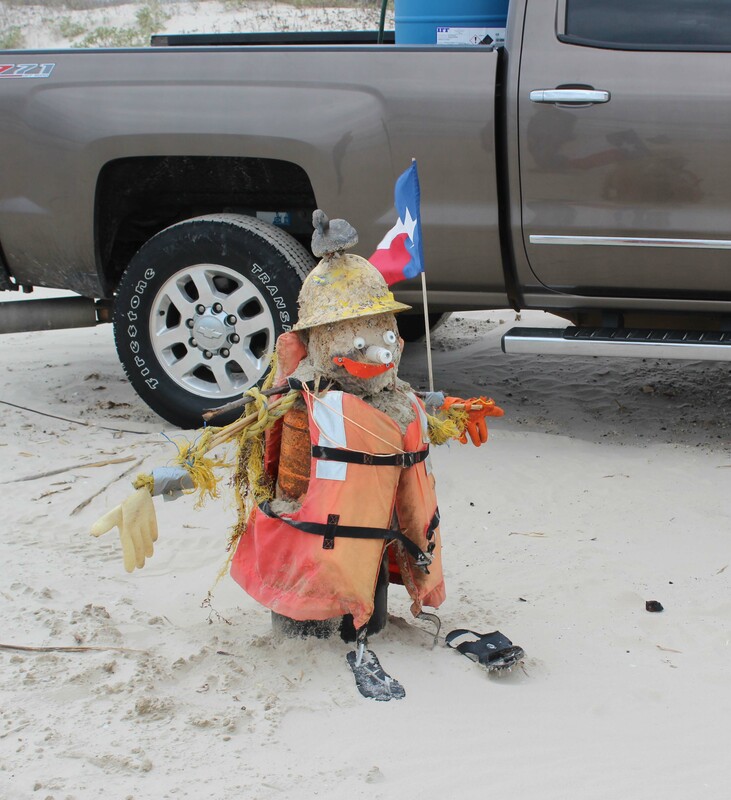 I had read you could drive and camp on the beach but since we don’t have 4-wheel drive we wanted to get some info from a ranger before we tried it. 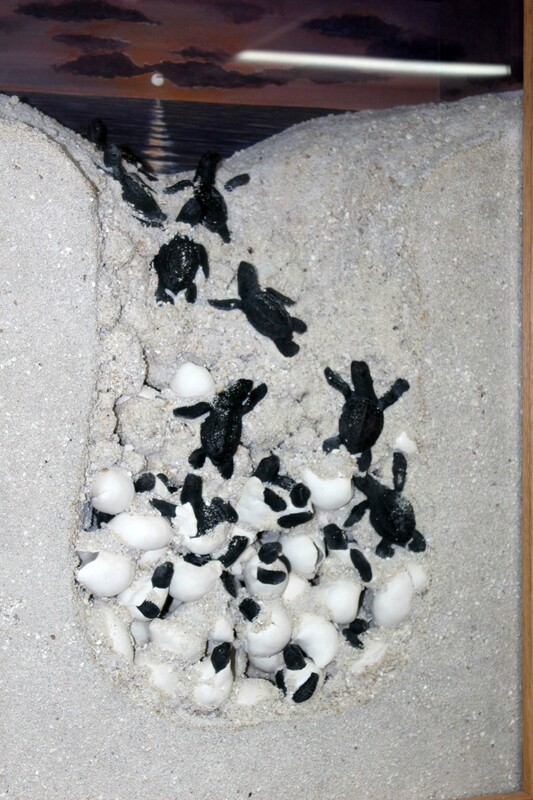 It was a small visitors center but had some nice information about sea turtles which use the island to lay eggs starting in April. They have a very robust volunteer program and nice access to the beach, and even with the overcast weather it was pretty busy. We talked to a very nice ranger who said it was generally safe to drive the first 5 miles without 4 wheel drive, but definitely cautioned us about going too far in. We left the visitors center and drove down to the end of the pavement and then got out to walk it a bit and see what we thought. View from their deck. This beach was full on Wednesday. 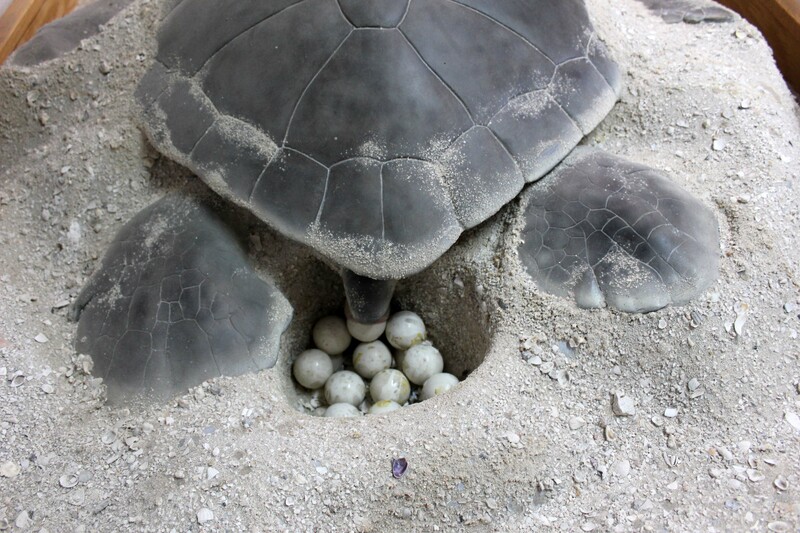 Cool display of a life sized turtle laying eggs. They are huge. And a neat mockup of what the nest look like. This sign is right where the beach starts so we parked here. 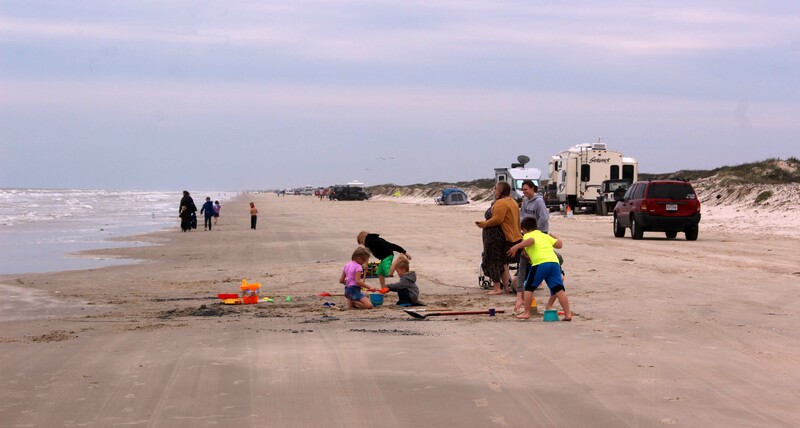 Part of the beach is blocked from drivers but most of the 60 mile stretch is accessible and open to camping. We were pretty amazed by what we saw. 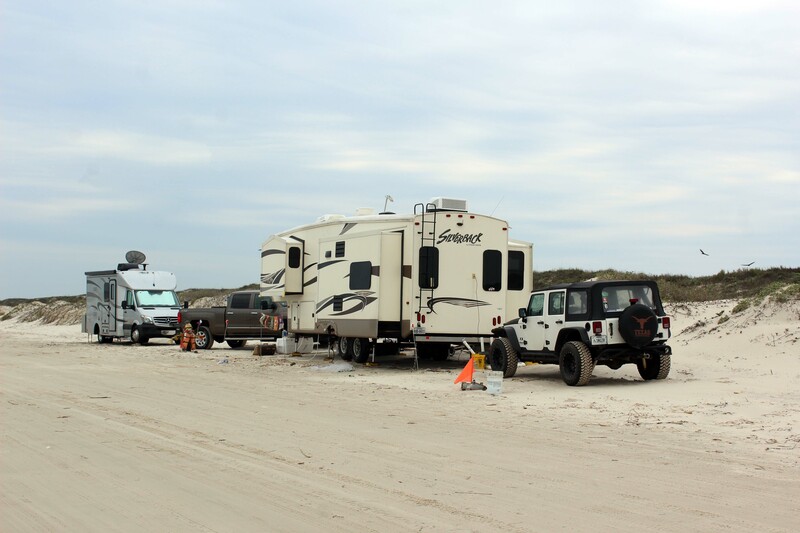 There were lots of people camping along the narrow stretch of beach in all kinds of setups, everything from Class A’s and full sized fifth wheels to tents and cars. We walked along for a bit and when Lee saw that sand was so hard packed that even trucks driving on it didn’t churn it up we went back and got the truck. 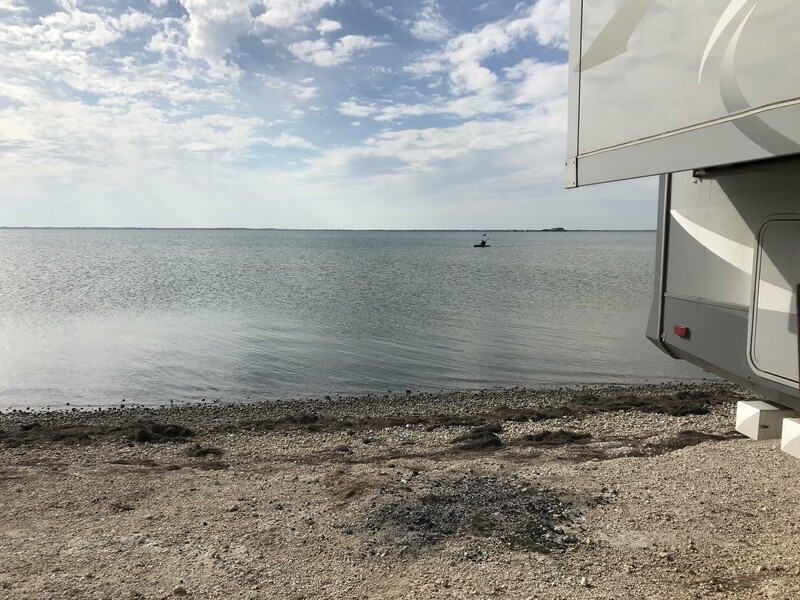 It was perfectly smooth, and there was plenty of space (it was still pretty far from high tide) and we actually talked about possibly getting out our tent and coming down and camping one night. Ultimately we decided that it was a little too windy and cold for that, but if it had been slightly warmer we definitely would have done that and would like to try it in the future. 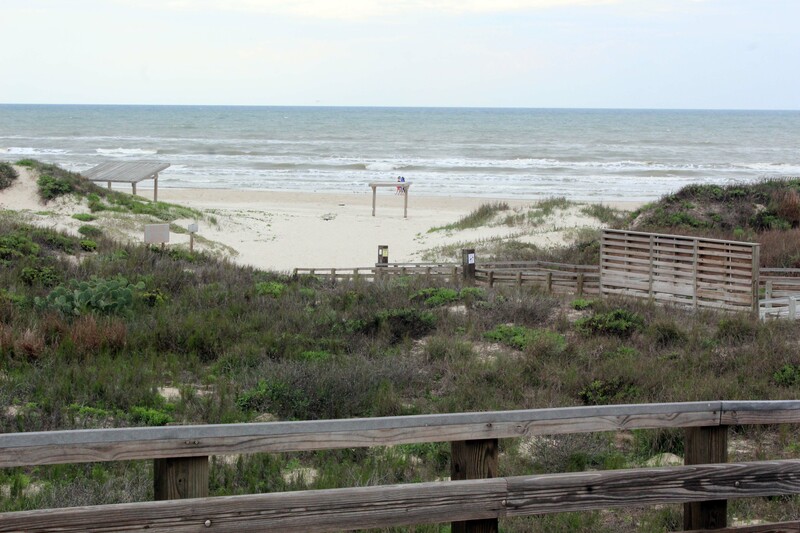 The entrance to the long stretch of beach. Tons of pelicans flying in groups. We saw hundreds of them. We saw several Class A’s. And even this fifth wheel. But most of the campers were in tents, popups or truck campers tucked into little inlets in the dunes for additional wind protection. Near the entrance there was a pretty steady stream of traffic, which did cause some issues for the folks with small kids. Several of them built little barriers that the kids played behind, but constant vigilance was necessary. As chilly as I thought it was I was surprised to see kids in the water, but many of them were, and even more playing on the beach itself. 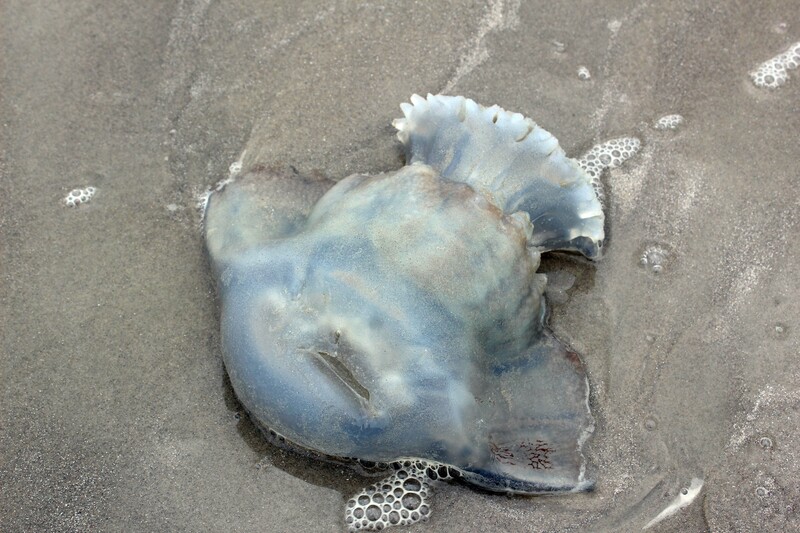 The only downside were the huge Portuguese man-of-wars, but the kids seemed largely oblivious to them as well. 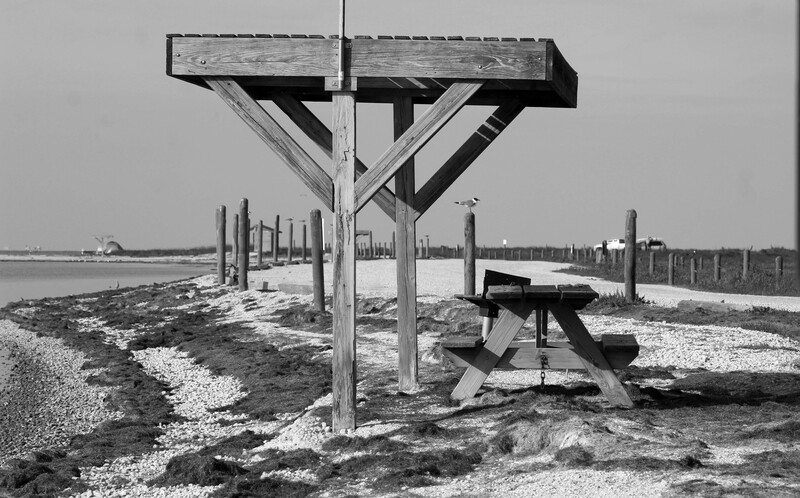 We saw several of these type of structure that people had built, possibly from sea trash?? 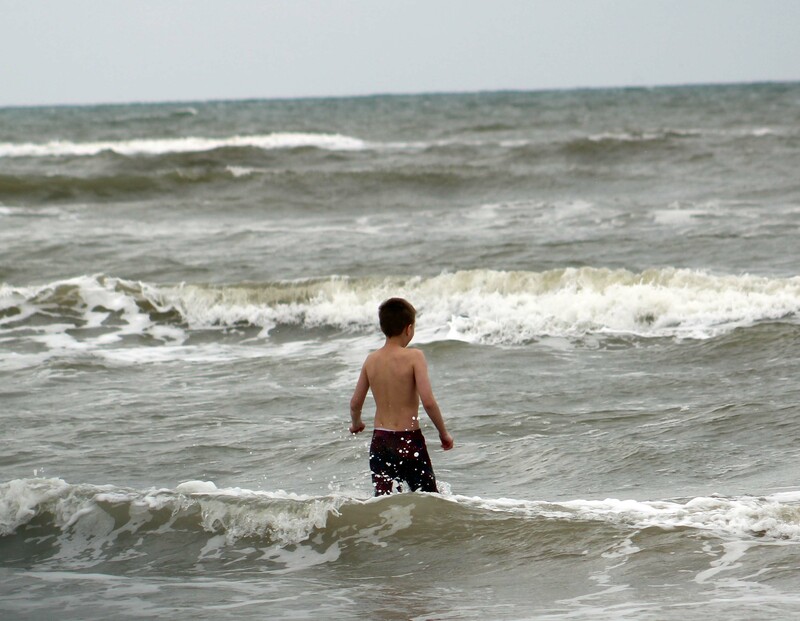 This brave little boy was having a great time in the waves. Yuck…this was much larger than Lee’s foot and yucky. Hate these things! Once we got past the initial crowds there were less people camping and lots more birds. 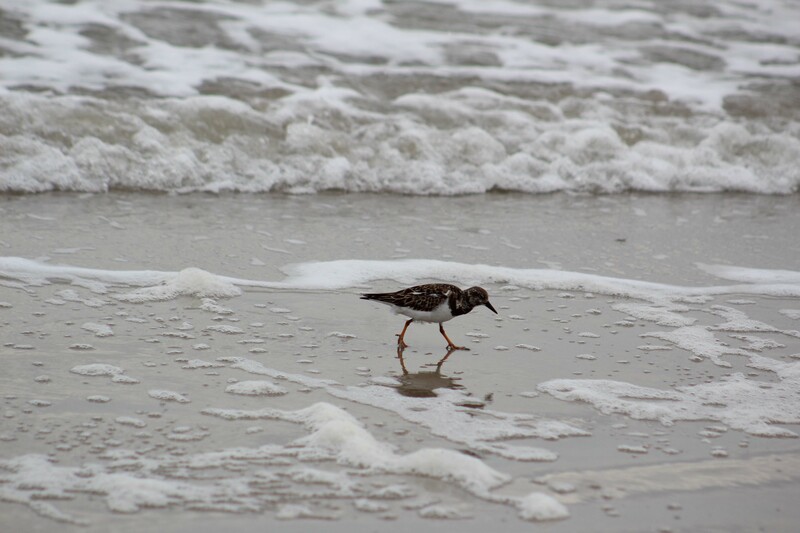 The island has over 350 species during migration and I had a wonderful time taking pictures of them. 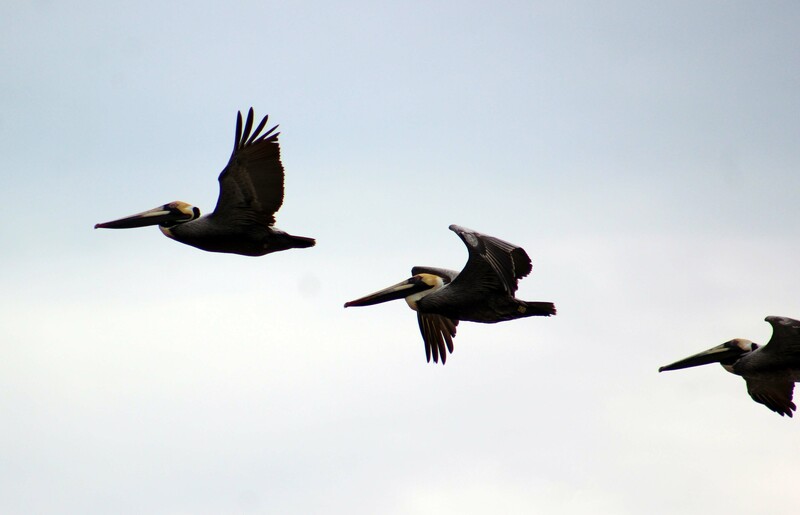 The pelicans in particular were amazing, flying in low formation over us several times. We happily spent a couple of hours exploring the beach and enjoying the day. Here’s a few of the 450 pictures I took. It’s been a long time since I had this much to look at, so bear with me as I share the best of my pics. I was in bird heaven! 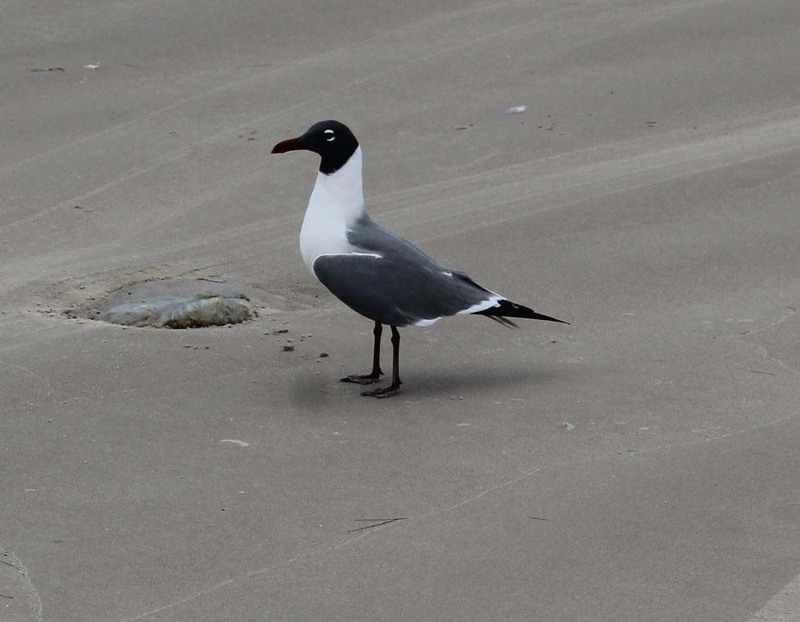 Laughing Gull with breeding plumage. These were the most common. 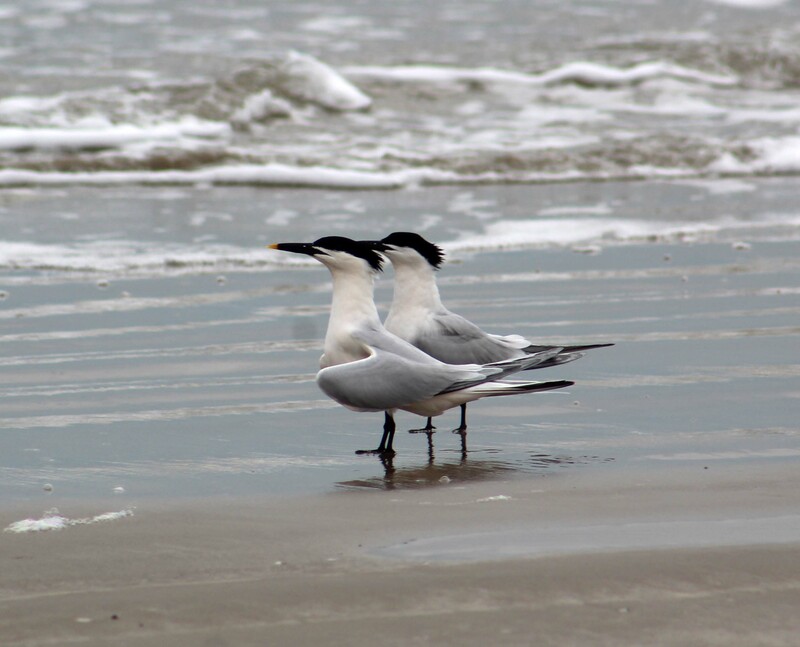 They have four kinds of tern’s on the island and I love these sandwich terns. 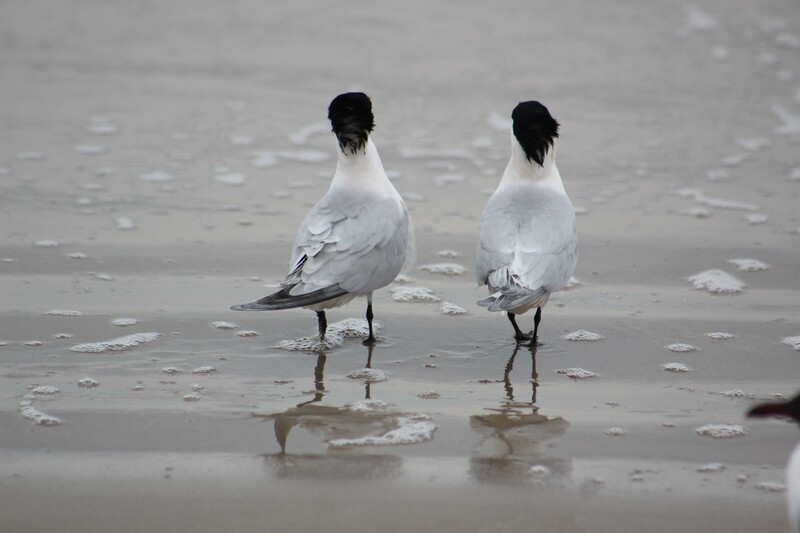 You can distinguish them by the yellow tip on the beak. Love, love this picture and I took it!! These little guys have a ton of personality. 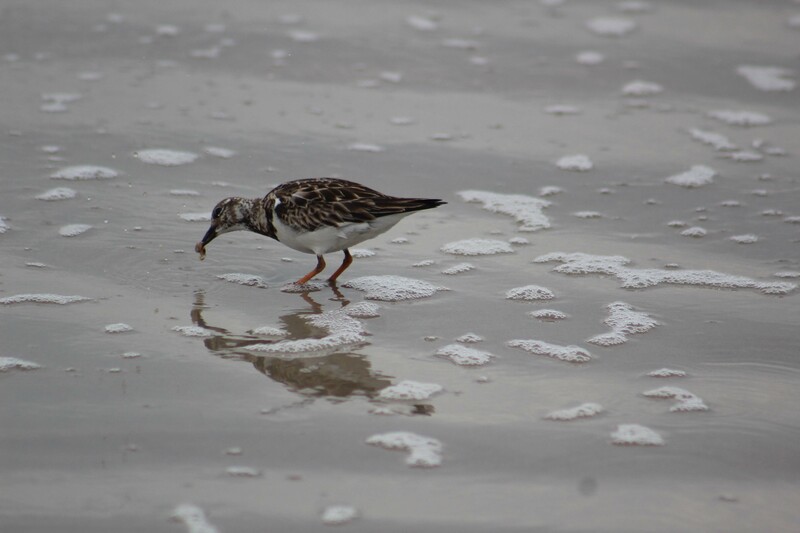 This Least Sandpiper was getting meat from inside of a small shell. 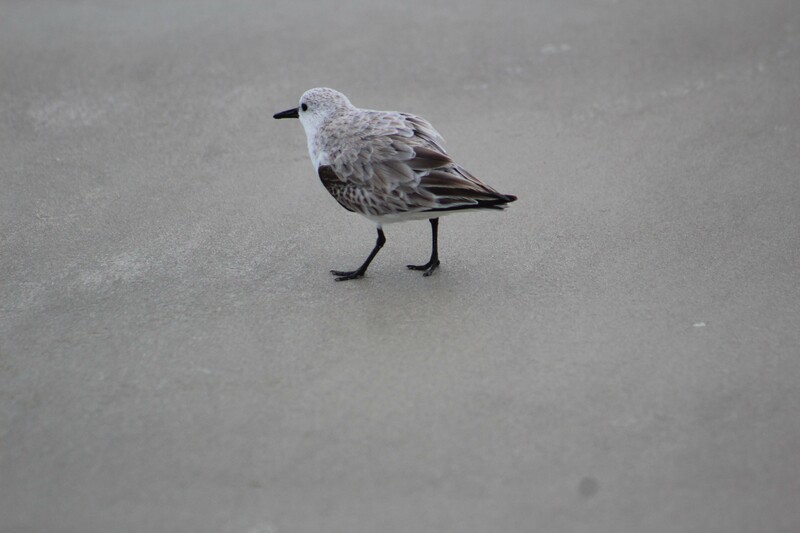 I think the non-breeding Sanderling is prettier than the breeding one! 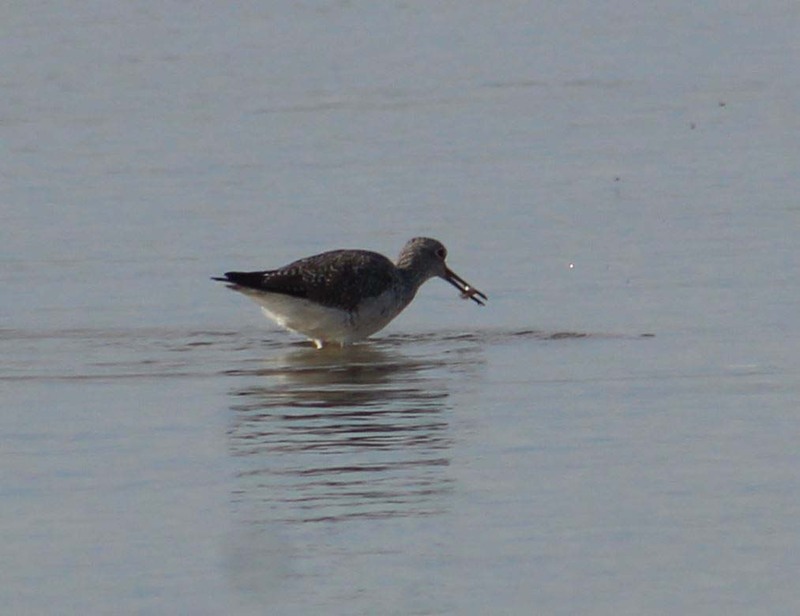 Greater Yellowlegs with what looked like a shrimp. And of course the pelicans. 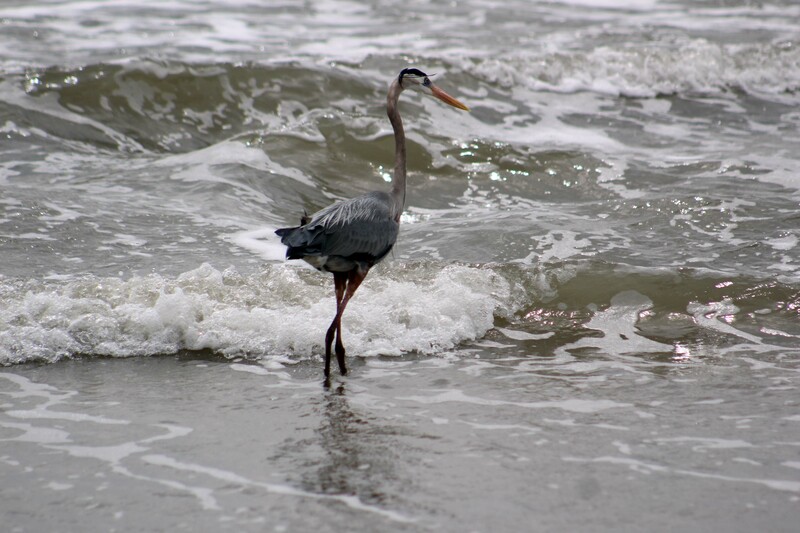 And this Great Blue Heron let us get pretty close. This one is mine. 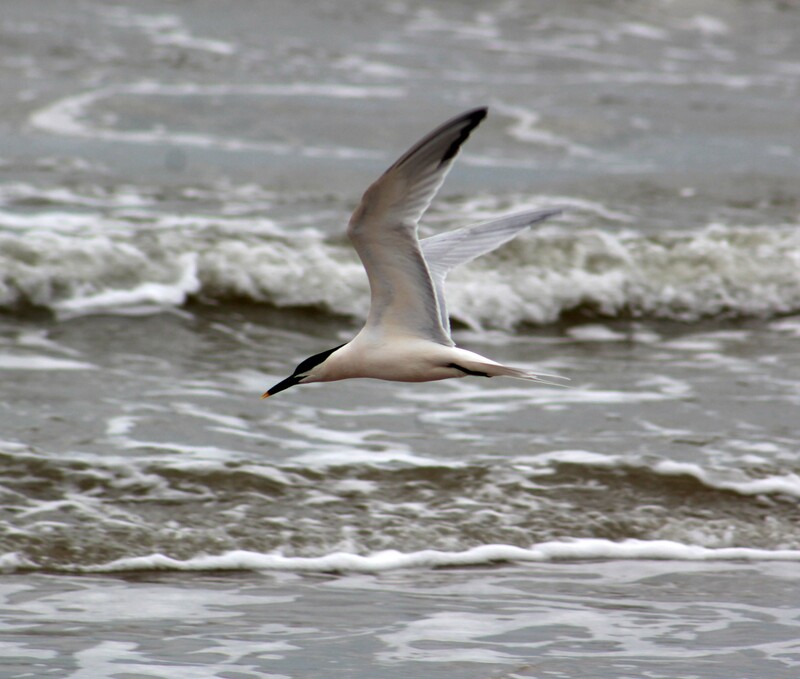 And this amazing shot he got in flight. We had a wonderful couple of hours and then capped off the night with a very nice sunset…another benefit of being on the Laguna side. 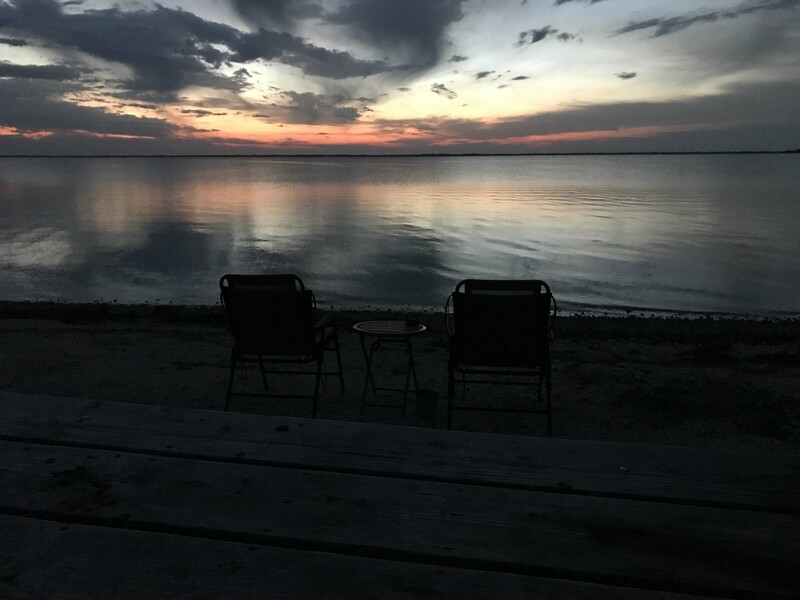 This entry was posted in Lakeside and tagged Bird Island Basin Campground, Booondocking at Padre Island, Camping Padre Island, Malaquite Campground, PAdre Island National Seashore. Bookmark the permalink. ← What Else Has Been Going On? Glad you had some down time before your next gig. Isn’t life grand? Love your experiences, makes me want to get this full time rv life style moving down the road. 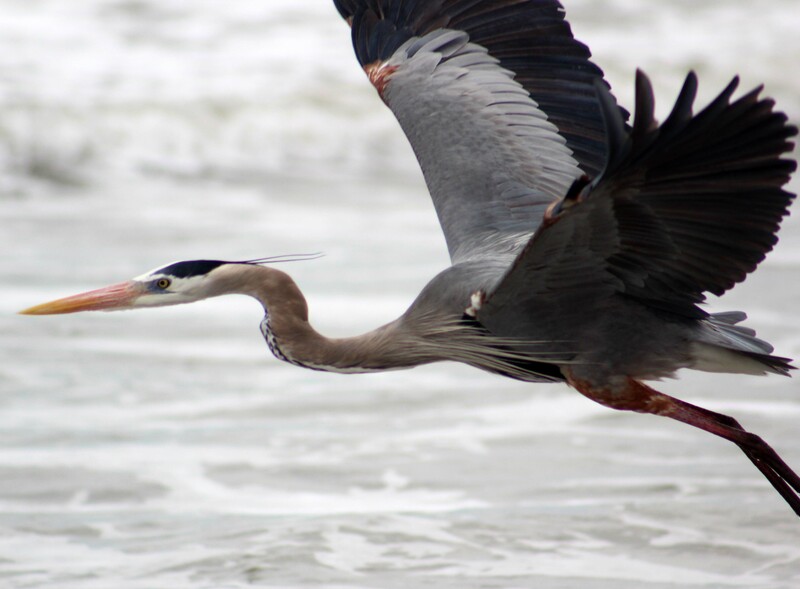 Great bird shots! 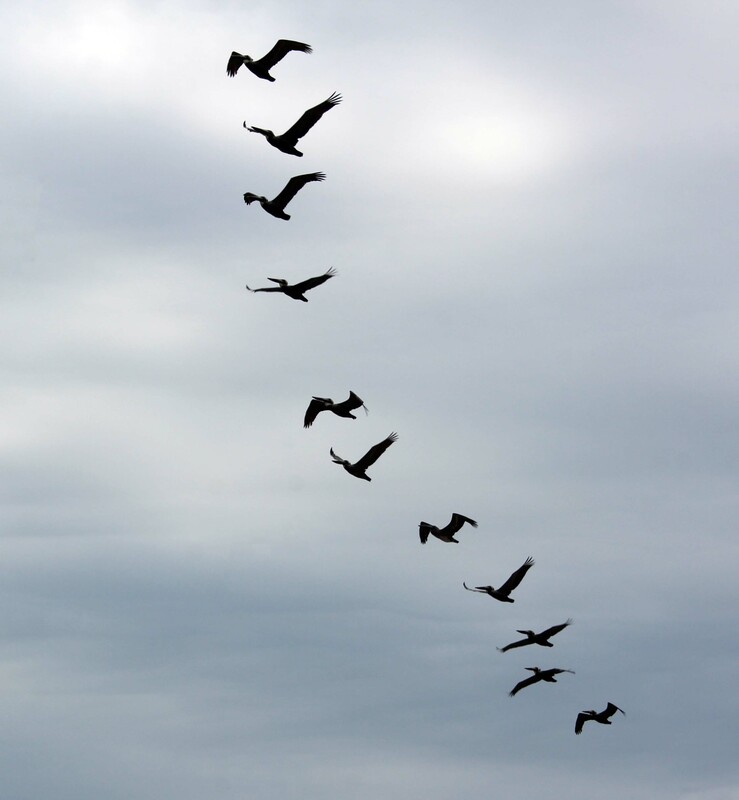 Love the ones when they are in flight! Casey and I like to call those pelicans “pterodactyls”. Glad you grabbed a good spot during spring break. We are headed to the Grand Tetons in about 2 weeks for our first ever workamping gig, so excited! We will, however, miss that beautiful Oregon summer. Have fun, so glad you got the new position. I have a feeling you will enjoy this go ‘round much better! That sounds fantastic!! I would love to spend a summer there. Can’t wait to hear about it!! Beautiful pictures. I think your spot was perfect. It’s fun to drive on the beach even though it’s a bit scary. 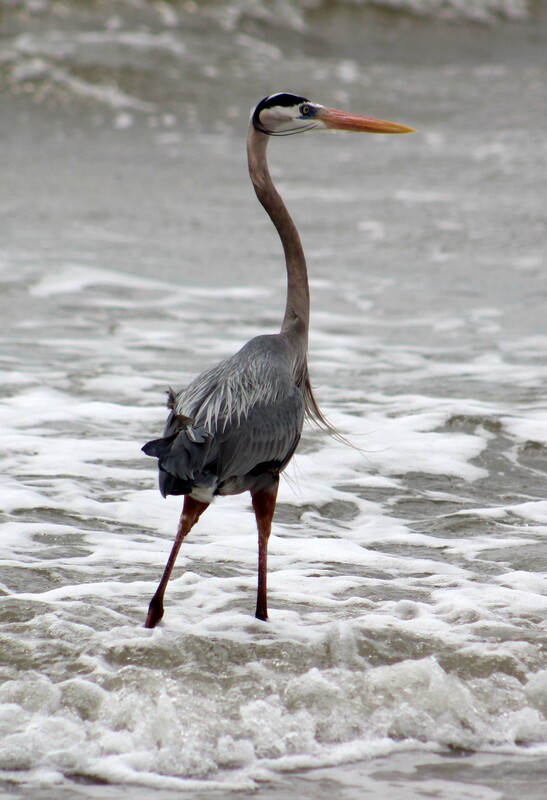 My favorite picture was the pelicans. 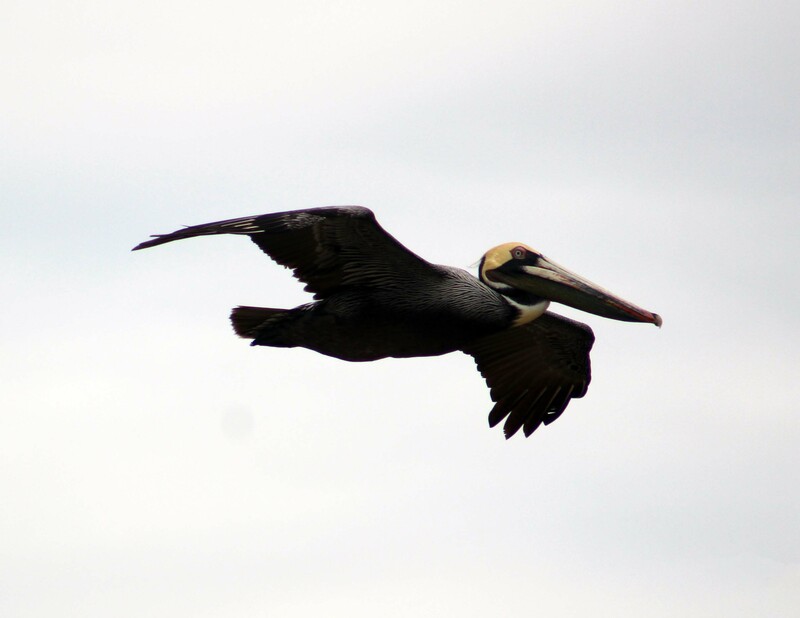 I just love pelicans! It’s totally your kind of spot!! So glad you got to spend some time at the beach!!! You deserve it!! I especially like the shot of the heron with the pelicans flying over! Its great the the heron let you get that close. They’re pretty quick to fly away. Thanks for the share.